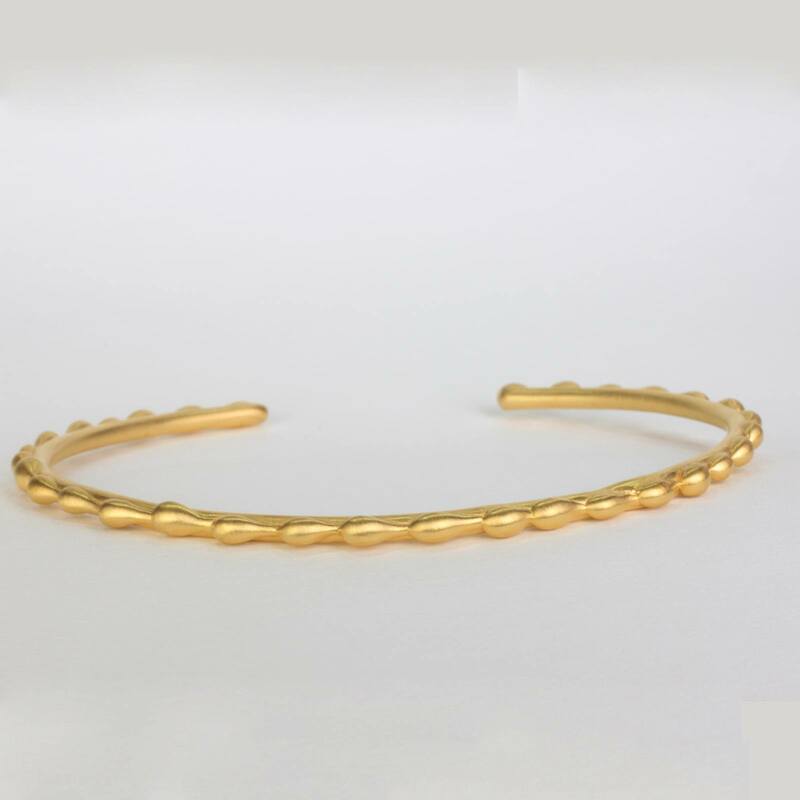 The wellness bracelet is a new all metal slip on bracelet with an intricate cascading gold detail throughout this fine jewel. This minimalist design can be worn as an individual bracelet or as an opulent stackable preference. Wishing you well is not enough, we have to have a plan. 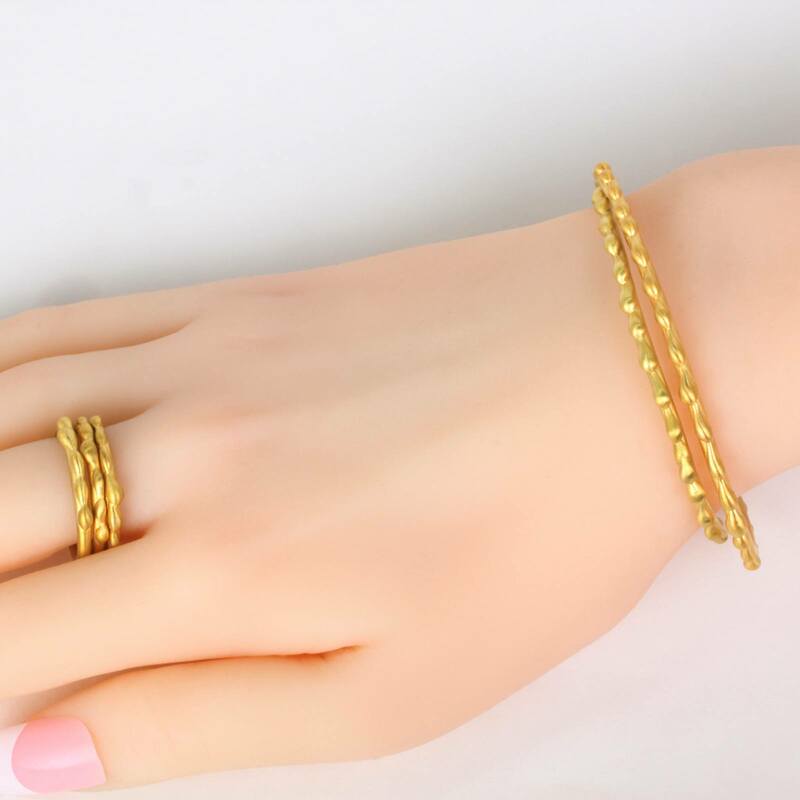 Our plan is to provide you with the best gold bracelet with a solid design to remind you of your wellness plan starting now, and for years to come. 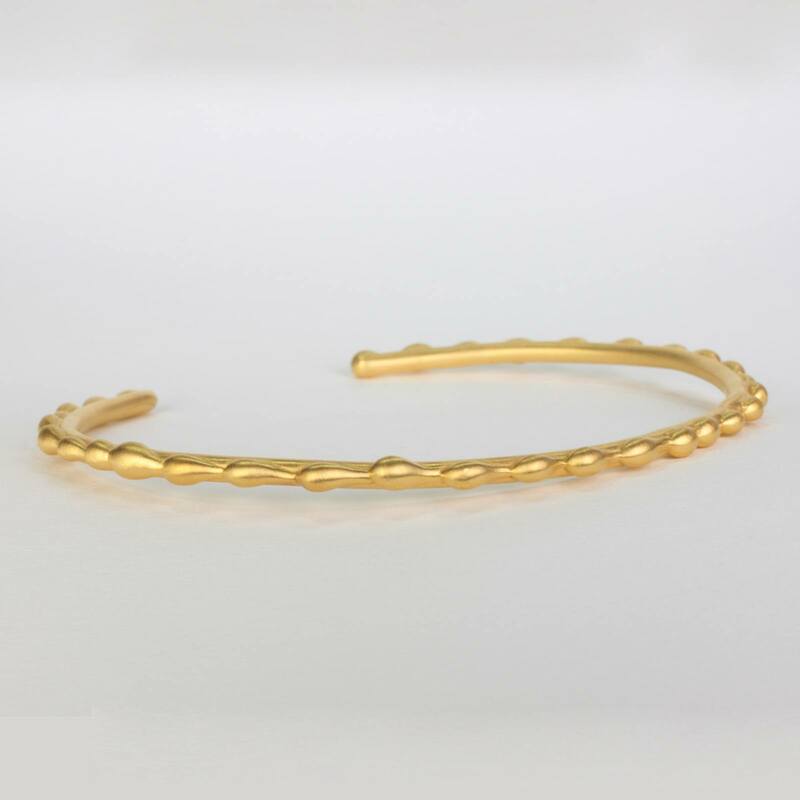 The gold wellness bracelet was developed by hand using the lost wax method, each piece of wax was carefully placed to achieve all of the beautiful intricate detail this slip on bracelet has to offer. 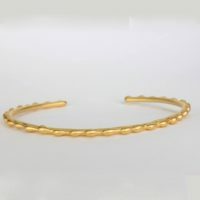 This elegant gold bracelet can be made in 14k or 18k in yellow gold, and is polished to perfection. You may also commission the designer to develop a one of a kind gold custom bracelet to your preference that incorporates the craftsmanship of the wellness bracelet. 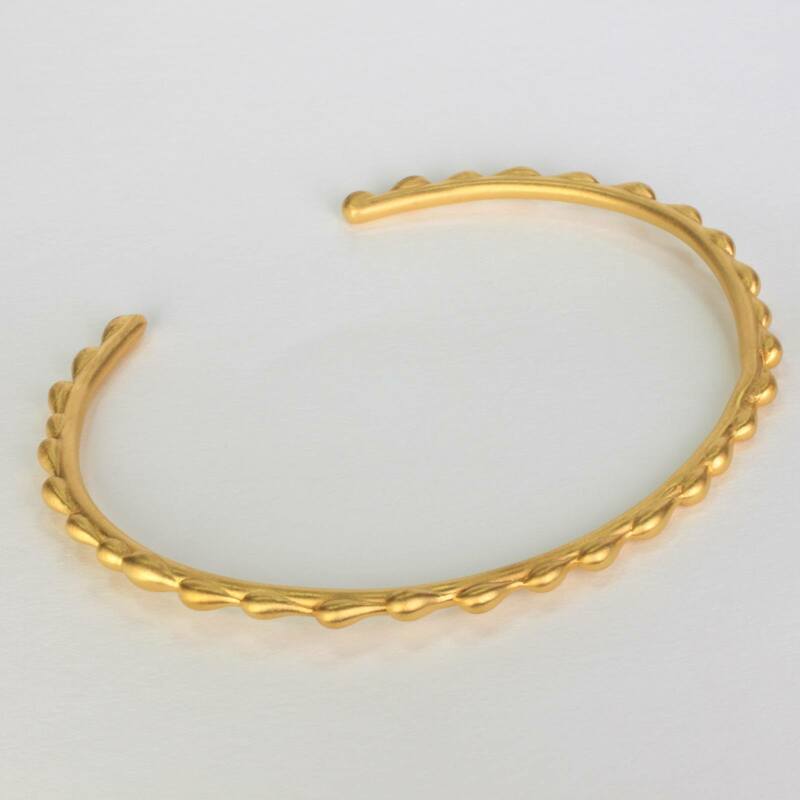 This wellness curvaceous bracelet is ideal for a size 7 wrist or larger, and it’s very comfortable when worn throughout the day or night. 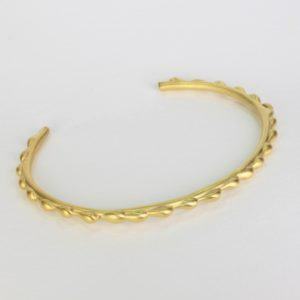 You may choose to wear a single wellness bracelet if you prefer a minimalist style during the daytime. Or you may coordinate as a stackable bracelet for a gold statement bracelet during the nighttime for a warm luxurious glow. 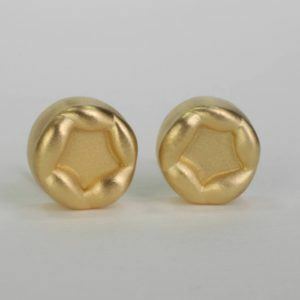 This cheerful glow of yellow gold offers a modern fashion look either in the work place or at a cocktail party. 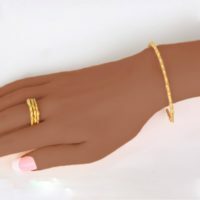 The wellness slip on bracelet is the perfect gift idea for a romantic special occasion because this unique gold bracelet evokes femininity, sophistication, and style. 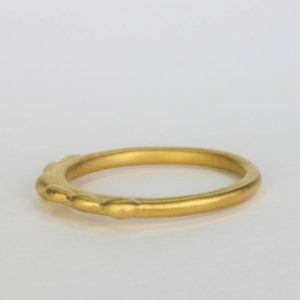 Whether it is her birthday or your anniversary, the gift of gold will warm her heart, and the precious metal of gold will certainly be cherished for many years to come. A local New York City jewelry designer makes this all-metal gold bracelet, and each piece of jewelry is stamped with the designer’s logo and gold karat amount either 14k or 18k. Each fine jewel is unique and no two pieces are alike. 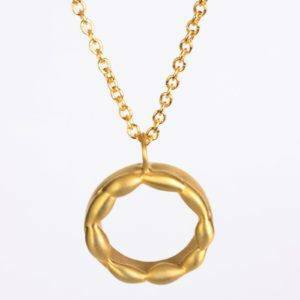 Free shipping is also available with EzzyKaia’s fine jewelry within the USA, and is securely shipped using FedEx.